My Top Favorite Victoria Classics Comforters for Sale! My Favorite Victoria Classics Comforter Sets! I love the Victoria Classics comforters! They are high-quality, beautiful and elegant bedding sets with gorgeous prints and designs! Perfect to create a luxurious bedroom for a fair price! The comforters are usually very soft and the colors are very vivid! *The one in this picture, for example, is a beautiful 4-piece Victoria Classics comforter set with gorgeous floral prints on one side and a cool chevron design on the other! Anytime you get tired of one look all you have to do is turn it over to the other side! I also love the fact that it comes with the cute decorative pillows and the beautiful shams! Stick around and see if any of them catches your eye too! If you are like me and absolutely LOVE cute comforters, then I bet you are gonna scream from excitement when you see this cute purple smile comforter set for sale! And the ‘SMILE’ decorative pillow! This gorgeous Victoria Classics burgundy comforter set is perfect to create a very elegant ‘hotel like’ look in your own bedroom! 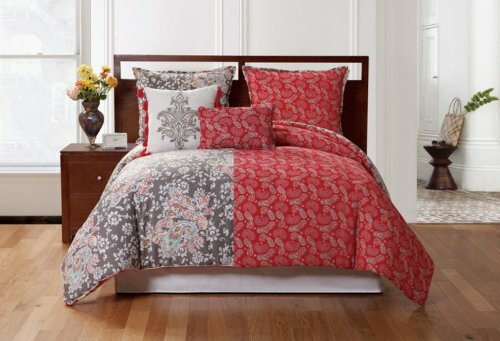 Victoria Classics Pretty Leaf Design Comforter Set! 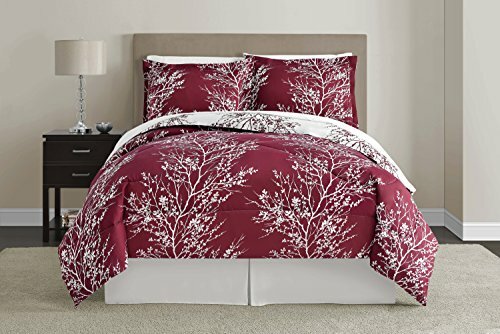 Another favorite Victoria Classics comforters of mine is this very cute red wine and white color leaf pattern comforter set for sale! It is also reversible, which means you will be able to turn it over to the other side to get a different color! On one side the background is burgundy and the leaves are white. On the other side the background is all white and the leaf design is burgundy! Victoria Classics Very Elegant 9-Piece Comforter Set! 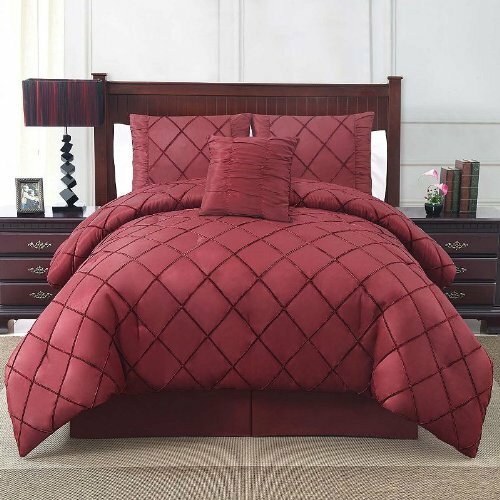 This Victoria Classics king size bedding set is the complete deal! You will get 9 pieces and will be able to make your bedroom look absolutely amazing, just like in the picture! It comes with everything you see, including the matching bed skirt and all the gorgeous decorative pillows too! If you like dark gray colors in your bedroom, then this beautiful bedding set is perfect for you! Not many words are necessary to describe this ultra-fun green color fur 3-piece Victoria Classics comforter set! You can also get it in purple, pink or turquoise! Yes! This is my favorite Victoria Classics comforter set from this page! It is very girly, very pretty, very feminine! I LOVE the gorgeous flower design all over, even on the pillow shams! The color combination is also very beautiful! You are also getting a great deal for the price, since this is a 7-piece king size bedding set! It comes with all three cute decorative pillows and the bed skirt as well! Another cute, fun and reversible Victoria Classics comforter set for sale! As you can see one side is very colorful and vibrant, and the other is very calm and pretty, with a gorgeous floral and paisley design!